QuietZone™ Starter Kit – Artaflex Inc. Designed for easy evaluation of the CY8C20247S-24LKXI. Develop proof of concepts by connecting directly to target design boards. The AEK-CY8C20xx7 QuietZone™ Starter Kit is designed for easy evaluation of the CY8C20247S-24LKXI and to develop proof of concepts by connecting directly to target design boards. 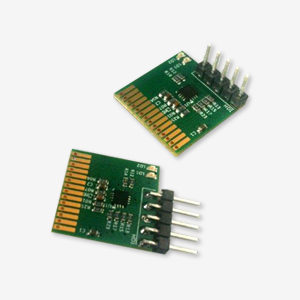 The kit comes with a 5 pin header for connecting to the MiniProg3 and the CapSense IOs available on the 14 pin header can be directly connected to sensors for generating UI functions like buttons, sliders and proximity sensors. Speed up your design cycles by taking advantage of the software projects to implement and test buttons, sliders, proximity and communication interfaces like I2C and SPI. The CY8C20xx7/S is the most advanced capacitive touch sensing controller enabling proximity and water tolerance @ 1.8V. This family lowers the total BOM cost by replacing multiple components used for capacitive touch sensing and user interface control with a single chip. The CY8C20xx7/S operates from 1.71 V to 5.5 V and combined with power saving modes enables a low average power consumption of 28µA per sensor at a scan rate of 125 ms. The wide operating range makes it ideal for both regulated and unregulated off-line and battery powered applications. The CY8C20xx7/S, featuring the QuietZone™ technology enhances immunity against radiated and conducted noise. A key component of this technology, the Capacitive Sigma Delta PLUS™ (CSD PLUS) sensing algorithm delivers the best-in-class Signal-to-Noise ratio even in extreme noise environments. The SmartSense Auto-Tuning technology monitors the performance of each sensor and dynamically compensates for environmental variations during runtime. This technology adapts to manufacturing variations in PCB, overlays, and tunes out noise generators such as LCD inverters, AC lines and switched-mode power supplies. The CY8C20xx7/S offers the best proximity detection to up to 30 cm. This family has driven shield capability for maximum loads of 100 pF to enhance the water tolerance capabilities in applications that face the challenges of mist, water droplets or streaming water. The CY8C20xx7/S is ideal for all application segments ranging from Bluetooth headsets, Mobile phones, tablets that require lower operating voltages to White Goods, Small home appliances, TV, monitors, printers that requires high SNR for a robust touch performance. For more information on the QuietZone™ Starter Kit, or to inquire about purchasing the kit, feel free to contact us directly, or purchase the kit at the link below. * Please allow 5 to 10 business days for delivery.